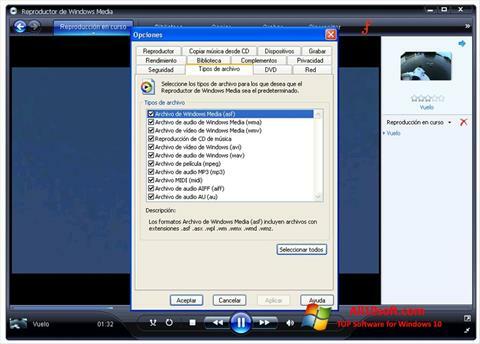 Windows Media Player for Windows 10 - Multimedia player. Plays video and audio files of known formats, collaborates with Internet Explorer. The player will allow you to copy, burn CDs, create a library. The interface is conveniently implemented, it is easy to work with. You can change the design and use the effects of visualization. The media player is the default in the OS from Microsoft and allows you to enjoy music and movies without using additional software. You can free download Windows Media Player official latest version for Windows 10 in English.